The Young Lawyers Division of the Florida Bar Association recently formed a Commission on Women to assess the current status of women in the legal profession and explore quality of life issues. 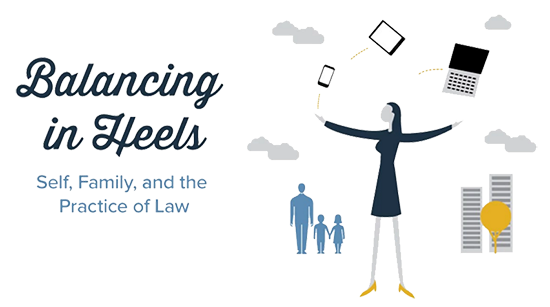 Rice & Rose Attorney Elizabeth King was recently featured on the division website as part of an interview series entitled " Balancing in Heels." Ms. King joined women lawyers from around the state, including local Judges Margaret Hudson and Judge Sandra Upchurch as well as YLD President Katherine Hurst Miller, to offer insight on navigating the challenges of balancing women's personal and professional lives. Click here for pdf of the complete interviews of locals Judge Hudson, Judge Upchurch, YLD President Miller and Rice & Rose Attorney Elizabeth King.